A new update has been made to Lernabit with many improvements. The most significant change is the addition of a new tagging feature. 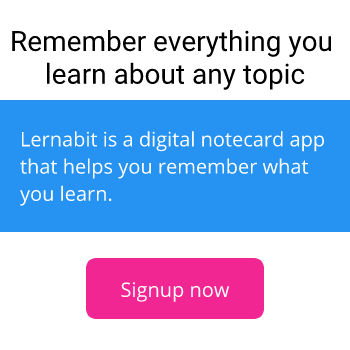 As Lernabit continues to grow, one of the immediate problems that has come to light is the difficulty of browsing Bits. In fact, the lack of structure is one of the primary reasons that the Bits have all focused on a very small handful of topics. Focusing on a small selection of topics has made it easier to browse around and find interesting Bits, because if you like one Bit, you will probably like any of the other ones you happen to stumble across. And while there has been a search feature for a long time now, that is only really effective if you already know what you are looking for. When you just want to browse and discover new Bits, the search feature is far less useful. With the latest update to the site, that is no longer a problem. The new tagging feature adds a new degree of organization to the Bits on Lernabit, paving the way to begin covering other topics. In addition to tagging, I'll be building out some other new features to further improve navigation and create a better listening experience.